ZDoom • View topic - Tilt++ - Unified Camera Tilt Mod v1.6 - additive update! Tilt++ - Unified Camera Tilt Mod v1.6 - additive update! Requires GZDoom 3.7.0 or higher. OpenGL renderer only! - Alters your view roll additively (not absolute), so in theory, it SHOULD play nice with other mods that alter roll additively too*. * This is important. If any mod is setting the player view roll to some absolute value, then obviously that mod will win, all previous roll values will be lost and there is nothing I can do about that. Mod authors: you can forcefully disable Tilt++ by taking away "Z_TiltMe" from the player (A_TakeInventory("Z_TiltMe") for example). Be sure to also set the player's roll to 0 after you remove the item too, to ensure a completely neutral camera roll. - Added turn tilting. When you turn your view with your input device (mouse, joystick, keyboard, whatever), the view will tilt. - Fixed the tooltip placement in the configuration menu. - Updated ZScript directive to version 3.7.0. - Make the tilt stabilization stop when the roll value is a very tiny amount close to 0. This may or may not help with mouselook jittering. - Fixed: strafe tilting "reverse" option did nothing. - Rewrote menu tooltip code, the correct way. Much better! Last edited by Nash on Fri Dec 28, 2018 8:17 am, edited 27 times in total. Probably fine and fancy when you're playing it but man, the video gave me VR motion sickness. I'm... gonna go lay down. Sorry. Added warning to the OP. I'm assuming the jerkiness from gz-tilt that I experienced should not happen with this? Hey Nash, the file I dl'd from above is named "Tilt%2B%2B.pk3" rather than "Tilt++.pk3" and it doesn't work for me. Hipnotic Rogue wrote: Hey Nash, the file I dl'd from above is named "Tilt%2B%2B.pk3" rather than "Tilt++.pk3" and it doesn't work for me. I assume you need lates dev build of GZDoom to use Tilt++, as it's done through ZScript. Thanks for replying. However, I have the latest dev build from DRD. Hipnotic Rogue wrote: Thanks for replying. However, I have the latest dev build from DRD. Nope, you don't. Update again. I like it. If it had look tilting too, it would be perfect. Now, for a serious bit! : I think the default settings may be a little too high, but once I adjusted it to my liking and preference, it's really charming for the game and I can see it being really popular for realism mods-- maybe Hideous Destructor will see this being included? 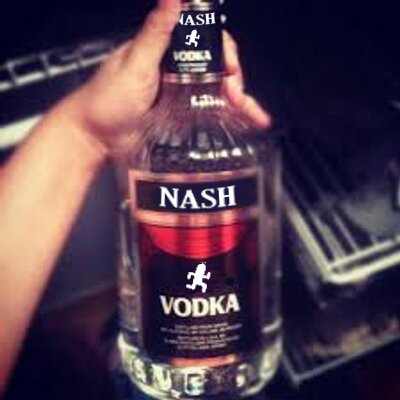 Anyways good work as always, Nash! Jump strafe + mouse turn. I can't even tell what is happening in that video or what the bug is. Nevander wrote: I can't even tell what is happening in that video or what the bug is. You can try slowpoke mode video speed 0.5. I agree... care to share your settings? I don't really have a clear idea of what's good TBH. Doomenator wrote: Jump strafe + mouse turn. Can you describe your bug in text? I can't tell what's going on in the video. Nevander wrote: I'm assuming the jerkiness from gz-tilt that I experienced should not happen with this? Hipnotic Rogue wrote: it doesn't work for me. The required GZDoom revision was already written in the OP.